Simply put, this is one of the best holiday homes on the planet. Amazing location, on a virtually private Caribbean Beach, with private lush gardens and a lovely little pool. A cool kayak and amazing outdoor living space including wonderful sofas and a fantastic Mans mans BBQ, it’s heaven. Inside is also well thought out. Ceiling fans, brilliantly well equipped kitchen, WiFi for bragging Facebook posts and air conditioning. Hummingbirds dart around the gardens as as the sunset, the sky fills with the dance of fire flies. The staff are simply wonderful. Susan the house manager is on it, attentive and a great communicator. She made sure we were welcomed with style. Michelle the housekeeper is AWESOME. She discreetly but efficiently does everything and this makes it so relaxing. Jerry the night watchman is discreet and will help you order take out or deal with any glitches. Don’t consider booking. Just book. Now. It’s bloody epic. We had a great time, The beach is fantastic and the sea is warm what more do you need! It was nice having Michelle during the day to help with the laundry and Jerry at night to keep you safe. Thank you Sea Turtle for the memories. We had a fantastic holiday, right on the most gorgeous beach! Hummingbird exceeded our expectations in every way and Barbados is our new favourite destination. Thank you so much for having us! As close to perfection as you can get. Beach houses are all about the beach and this one is quite perfect and you have the beach almost for yourself, just steps from the house. Two sets of deckchairs, one for the beach and one for the terrace, umbrellas for the beach, a big cooler if you can’t make it back to the fridge, a state of the art BBQ – it’s all there. Michelle took good care of all the work in the house – we had a fantastic vacation. The pool looks much bigger in the pictures than it really is but with a beach like this you don’t really need a pool for swimming. We loved the house, the beach, gardens and pool. We stayed 8 nights and felt safe and at home. The outdoor covered dining and lounging area was our favourite place to relax and enjoy the wonderful weather. The owner’s guide book was so helpful and we enjoyed many daily excursions to all parts of the island. The location of the Sea Turtle home was an ideal base for activities (snorkelling, catamaran cruise, Mount Gay tour, cave tour…) and going out to eat at wonderful restaurant dinners. We loved the home, it was clean and well kept and had good accommodations for everything we needed. The beach access was the best part of the home, I think this is the best beach on the island and not crowded or busy ever. I also really enjoyed the patio area for some shade when needing a break from the sun. Jerry and Michelle were great and very enjoyable and we felt safe there w/ them. I would stay here again. THE Best Location in Barbados!! What more could a family or anyone want?? We had the entire Bay to ourselves every day with only a few locals and no one hassling us for beach chairs/umbrellas, jet skis, tube rides, turtle boats, etc etc. Beautiful coral with plentiful fish to see just off your own personal beach and my daughters LOVED finding all the sea glass! Any activity you would want to do is covered in the “handbook” and we did ALOT of them! Probably our best family vacation EVER and when we come back to Barbados we will definitely want to stay at the Sea Turtle!!! Thank you for allowing us to stay at such a special home! Just wanted to let you know how much we enjoyed staying at Sea Turtle! It was beautiful and comfy and everything we hoped it would be. We loved Brighton Beach and ate at several wonderful local places. We went to the Friday fish fry, fed the green monkeys, saw the beautiful sites at the flower cave, swam with the turtles, purchased several handmade souvenirs, and even drove out to the lighthouse! We explored so much of the island!! Loved driving around and exploring! The Bajans were so nice and we enjoyed living within their culture. If we ever make it back, I’ll reach out to you for arrangements! 😊 If you ever make it to the US…Ohio or Colorado….please look us up! I like to be brutally honest in my reviews as I think this is most helpful! Our booking experience was sublime – Andy is a dream and real pleasure to chat to!!!!! We arrived to be met by the House Manager with a fridge of hospitality and pre-ordered food and drinks and a cooked fresh chicken on the stove. On first walking into the house it was not quite as “plush” as we had expected and so initial 1st impressions were not great…….BUT…….OMG….. This villa is SO comfortable and has everything needed for a relaxing break. Maureen – the Housekeeper cannot do enough for you and keeps the house immaculate!!!! The Owners Manual, otherwise known as “the bible” is spot on and we followed many recommendations. All in all …… Highly recommend!!!!!! 1. The location, on an almost deserted beach, arguably the best on the island. 2. The house itself, having the covered deck means one can be “outside” in all weathers, it is all on one level so no stairs, large bedrooms, comfortable garden and deck furniture, ideal size pool. 3. Regular maid service means no piles of damp towels or sandy floors. 3 times a week is ideal for us but can understand that daily would be better for more than 2 people. The information provided was very comprehensive and useful. Sea Turtle was again perfect for our needs; the kitchen is well equipped and the new barbecue got plenty of use. Our two week stay at Sea Turtle was great! The house was clean, neat and the layout was great. The beach was fantastic! Susan, Maureen and Chris were all very helpful and nice. Car recommended. If you need a taxi…Vernon King is the one! (his cards are at the house). We all had a great time , and plenty of room at the Sea Turtle in Barbados!! Thank you so much for your help, and please let me know if any postal charges from mailing my Kindel, and I will take care of them. We had a fabulous time, the house was amazing and the island as well. The whole visit we couldn’t imagine having chose any place that could have been any more special than Sea Turtle. The back patio was the perfect spot and we spent most of our down time there. The best excursion we did was Cool Runnings catamaran and the snorkeling. We spent a lot of time driving around the whole island and saw all the coasts. It was the best vacation we have ever had. As far as dining options a new one I think Mr. Holmes should add to the list is Cafe Sol in St. Lawrence Gap. We both loved the food there. And the only critic on the house I have is the master shower needs a small bench or shelves for your shampoo and conditioner. My last note is we loved Maureen, she did an amazing job and was the sweetest person, as well as Susan. I do hope we will visit again, and everything exceeded our expectations. Birds fill the air with a myriad sounds. Sing a duet, a plaintive coocoo. While hummingbirds hover and dart in flight. Some are brown and some bright green. A gecko runs, but never falls. The garden takes on differing shades. Fire flies flit and fall between the trees. Crickets give the chorus an added boost. Bats come looming into sight. And see them sip water from the tranquil pool. I shall some day return. We had a great time and hope to come back next year. We have had a wonderful time here, wedding was very special. Thanks to Maureen – what a lovely lady she is – nothing too much trouble. We enjoyed our 10 day stay at the relaxing Sea Turtle holiday home. It’s beautiful sea view, warm homely equipment made us feel very at home! Maureen and the gardener gave us brilliant advice on the area and our surroundings, and made us feel very welcome! Thank you Maureen for your brilliant service during our stay. You had the answer for every query we had and were outstanding helping us to prepare for the wedding. Thank you for the owners for sharing your house. It was a much needed holiday for the family. I would recommend the “Tides” and “The Cliff” as well as the “Fish Pot” for some truly great food and service. For entertainment try “Kendals Sporting Club”, shooting was great fun and good level of tutoring. Thank you very much! I loved every moment of my stay! Going to enjoy my last ice cream now. What an idyllic villa Sea Turtle is !and it was an absolutely perfect location for our dream of getting married on a beach with the sand between our toes. The beach is so quiet and yet you can still very easily get in to Bridgetown or Hole Town where all the superb shops and restaurants are. The villa had lots of room and had a large covered area to hold a beach party in under the stars it was just fantastic! The excellent wifi also enabled us to keep to touch with those at home and the housekeeper was on hand to help clean and answer any queries we had.We would highly recommend it to anyone wishing to have a beach wedding or families just wanting to relax. We are so glad we chose Sea Turtle as our wedding venue and wouldn’t hesitate to revisit. Thank you all so much for all your help and advice in organising our special day. It was awesome!! I must have used the sea kayak for 10 hours. Did lots of snorkeling. We truly enjoyed the villa and really hope to have the chance to return one day! What did I think of staying at Sea Turtle? Your own piece of paradise! This villa was a dream come true. Perfectly positioned for the perfect holiday – I could never get tired of walking off the decking and onto the perfect beach. The place truly allows you to live away from home in pure Caribbean style and relaxation. Having it cleaned daily only added to complete pure relaxation and comfort (especially when having visited the ‘Mount Gay’ visitors centre up the road. We both loved staying there and it’s already in the diary for next year. If you are looking for a relaxing holiday on a stunning beach then look no further. Sea Turtle is the most wonderful place to stay. It is spacious, well equipped and has the added advantage of wonderful Maureen to look after you. It has a superb deck with comfortable furniture to keep you cool during the heat of the day but also the advantage of being able to walk straight onto the beach and into the beautiful clear water. The small pool in the garden is also very welcoming and ideal for families with children. Brighton beach is a lovely residential area but not far from Bridgetown and the stunning restaurants on the West Coast. I would thoroughly recommend a stay here… you will not be disappointed. 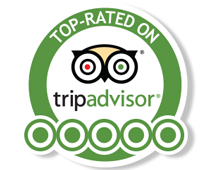 We would like to thank all of you for excellent accommodation in Sea Turtle. We really enjoyed our staying on Barbados. Everything was just great. If you search for a beach front villa. SEA TURTLE IS THE BEST. Relaxing, stunning view, everything you need in the house. Perfect patio and your private pool. Maureen the maid is very kind and helpful. Really enjoyed our stay at Sea Turtle Villa. It is in a rather mixed area of homes, but right on the beach and close to so many wonderful restaurants: the Cliff, Daphne’s, Cin Cin by the Sea, Il Tempio, Lobster Alive and more! Wonderful manager (Karissa) took good care of us and Maureen was our wonderful housekeeper too. Also loved “Lola” the pet chicken, who laid 12 eggs under the deck! Lots of fun places in Barbados: North Point, St. Nicholas Abbey (get really nice gifts of engraved bottles of Rum from there), Cherry Tree Hill, The Crane and Sandy Hill resorts and Bridgetown! It was tons of fun and the weather was perfect! Loved having our beach right out the door. A wonderful week of rest and relaxation; walking, talking, being massaged, drinking (a bit) and enjoying just the two of us doing very little. Even though that was our second trip to Barbados, we found the handbook/guide you provided was so useful and seemed to cover anything and everything anyone could think of. The maid, Maureen, and the manager, Karisa, were lovely too. We enjoyed some exceptional fine dining at The Cliff for Noelle’s 50th Birthday (absolutely stunning), Cin Cin, The Colony Club, the Fish Pot and Tides restaurants being our favourites. We visited most areas around the Island in our hire car from Drive-a-matic and did the Segway tour (great fun and no casualties!!) and shooting at Kendals. My youngest son, Michael, and I played golf at Sandy Lane and went to Mount Gay Rum centre for the tour and lunch there twice. The Concorde airplane tour next to the airport was an enjoyable visit too. We had an exellent time at Sea Turtle. We and the kids just loved it. The beach in front is really beautifull, no tourist, only Bajan people, this is what we were looking for compare to the first beach up in Mullins with many umbrellas and tourists. We spend most of our time (when we were home) on the outside deck facing the sea. Really nice spot to relax any time of the day. We also appreciate Michelle (housekeeper) and Chris (garden) symphaty. Very nice people always willing to make your stay even better. We were just feeling like beeing home. In 2 words, i will say Relaxing and Peacefull. Just what we were looking for. We are use to travel quite a lot especially to Asian countries but will definatly come back and spend more time in the Carribean now. We found the house very much as we expected it to be. The location is absolutely magnificent, and we enjoyed our stay very much. Karissa had arranged for the rental car to be delivered right after our arrival, and all went well. As we had been in tropical island houses before, we anticipated some minor technical problems that go with the climate – there were a few as expected but nothing that caused a problem to our stay. ships leaving the harbour Brigetown. We had a wonderful time. Kind regards, and thank you. I returned to Sea Turtle after a stunning trip last year and it did not disappoint. The house is nicely equipped and has good size rooms and bathrooms with quality linens and kitchen stuff. The water is a stones throw away and this is the best beach on the island. The property is very secure with a great outdoor area for lounging including a lovely pool. The beach is very much a locals beach but empty most of the time. You can watch the ships coming in and out of the port and the racehorses exercising on the sands. Weisers restaurant is a 5 min stroll away for the coldest beer on the island. Forget the glitzy, loud, brash hotels further up the coast. Get some peace and tranquility and the best beach right on your door step. It’s close enough to everywhere to be convenient but tucked away in a quiet residential area. You don’t even need a car as the buses run regularly close by. I will definitely return very soon. A beautiful, clean and well maintained property. The decking area is a wonderful feature and my three year old spent many (many, many!) happy hours in the pool! You also get an incredible view of the sun setting over the sea. It was fantastic to have the beach literally at the bottom of the garden, and what an amazing beach it is. We found Sea Turtle to be safe, quiet and very relaxing. All the amenities you could want are catered for, and the staff were thoughtful, friendly and discreet. We had an absolutely wonderful honeymoon in Barbados and we loved the Sea Turtle. Brighton Beach is a wonderful location, and we felt safe there at Sea Turtle. Shondell was wonderful and did a very good job, and we appreciated her and your flexibility with allowing us some privacy throughout our honeymoon. It’s so nice to feel comfortable enough to feel “at home” while travelling, and the privacy was a big part of that. We only saw Chris the gardener once, which was totally fine with us. He also seemed quite nice. The property seemed to be in good shape, and we loved the colors and the turtle theme throughout the house. We only used the grill once but that is a great addition, I think. The “handbook” was really helpful also. Really, the home fit just what we wanted: a place to relax, have privacy, cook our own meals, nice bedroom, etc. Thanks again for your help and for providing us a great experience. Our stay at Sea Turtle was amazing and so relaxing. Eulita you are an amazing lady – God bless you and your family. The beach was so incredible. Beautiful island. God willing we will be back to see you all! We had a very relaxing stay at the Sea Turtle. Very clean and lots of everything. Eulita was excellent. The grounds, patios and wonderful kitchen gave us the freedom to fully enjoy our time here. We love the fish balls, cou-cou and local people of the beautiful island. The pool was a definite bonus. Will definitely look at coming back. Thank you very much. We will be back and look forward to seeing you then. Thanks again. We absolutely loved Sea Turtle and Barbados. Truly a wonderful holiday, we can’t wait to return. This was my second fantastic stay at Sea Turtle. It was perfect the first time, however, with the addition of the pool and decking it was amazing! The house is right on the beach and sitting on the decking at night listening to the waves was paradise – we didn’t want to go home and really hope we can go back soon. We are all sad to be leaving – we have been up at the crack of dawn every day to see the cruise ships come in whilst sitting on the beach with a drink (probably far too early!) We have relaxed in the pool and the Hot Pot and several bars and rum shacks in between. We have bbq’d on the patio and eaten in fabulous restaurants and been to Oistins. We also went to the shipwreck in the Atlantis submarine, with lots of shopping and sight seeing in between. The resident chicken ‘Lola’ kept us amused every day and we were careful not to disturb her next by the front porch. We even made friends with a crab! Eulita was charming, friendly and funny, as were most of the locals we met. So to sum it all up – fabulous house, fabulous weather, fabulous holiday! Thank you. We had a great week in Barbados with a lot of activities: fishing, surfing, sailing, waterskiing, snorkelling (including with the turtles about 200ft in the sea right in front of the house), kayaking etc. Sea Turtle was a great base…..especially with its very restful patio! The sound of the waves mixed with the birds makes it so relaxing. We also thought (or found) Sea Turtle was a good place to stay with kids or teenagers. There is something to be said about the convenience of having not only three bedrooms but also, three bathrooms. That makes for more time spent outside playing rather than waiting in line to shower! Finally, we wish to thank Joanna, Mechelle and especially Eulita, who made our stay even more relaxing than it already was. You were right it was fantastic. Very pretty villa and very comfortable, very child friendly surroundings, safe area, great beach! Pool was a really nice addition for us and the deck and outdoor patio and view were fabulous! Loved the sea turtle art! Eulita was very nice and helpful and good and our cook Kibibi (sourced by Mechelle) was very organized, personable and made very tasty Bajan creations for us in case others would like to hire her. Written Instructions on the island and house were very useful. Fridge worked great, kitchen functions very well and nicely stocked with sharp knives, etc. Please thank the owners for everything. From the moment we walked through the door we felt at home. Eulita gave us a warm welcome and a beer. Each day started with breakfast whilst a lizard watched. They’re plentiful and very cute. Around 11am our resident chicken we have named ‘Lola’ arrived for a drink at the foot bath and we fed her pretzels, crisps, fruit and orios. She wasn’t fussy, very friendly, so please feed her, she lives in the front garden. We have had daily walks to the Hot Pot and Miami Enterprise beach was great fun. Cin Cin food was incredible to match the view. The pool was wonderful, the beds comfortable. We didn’t want to leave and cannot wait to return! Thank you. I have been visiting Barbados for 13 years and have been to other Caribbean islands too. Barbados has a very specific charm which isn’t always to everyone’s liking as it is not as brash and flash as other locations. Sea Turtle is an older property but it is genuinely Barbados and that is a real charm. I have stayed at many properties on the island, some old, some new and Sea Turtle is up as the best so far. Sea Turtle was so much bigger than the photos. I’m so sad that my other friends could not see it. The photos on the website are very good and representative but it’s still nice to have the wow factor on arrival. The colour scheme looks great, fresh and clean. The custom turtle paintings were a great unique touch. Eulita greeted us and showed us everything that we needed to know and was very specific about the rules regarding use of the aircon, towels, no sand etc. operating the dishwasher, the locks, gates etc. She was quietly precise. As there was only myself and Ms Genco staying in the house for the first few days we agreed Eulita could come back on Monday. The welcome pack was well thought out and extremely welcome indeed! It’s a really nice touch. We found the aircon in the bedrooms invaluable as we still found it too warm to sleep with the windows open.The kitchen facilities were great and we made good use of the fantastic barbecue and the ice making fridge. We loved the outdoor spaces and the furniture. It looks classy and is very comfortable. We really didn’t use the pool very much but it looks great.The decking is great and the view out of the living room to the garden and sea is really classy with the nice furniture, decking and then beach in the back ground. We suggested some rope lights in the coconut palm at the end of the deck as it’s very dark at night. I managed a couple of skinny dips…… so maybe don’t bother with the rope lights or have a switch on remote control for dashing out in the dark. I will put some minor “improvement suggestions” (better lit mirrors for us girls etc) under separate cover but please let me assure you that we thoroughly enjoyed our holiday. We were so relaxed by day 4 we barely went out after that. I hope I can confirm a rebooking very soon. I’ve been meaning to write to say thank you and we did have a really great time. Eulita is a true gem and so good with the children too. She said that Mike is putting in a pool, I’m sure it will be great but actually I felt the house didn’t need it as one of the great things about it for us was having a completely safe garden where I could just let Thomas roam to his heart’s content. As far as I know we didn’t damage anything apart from one mug (on the first day! ), all the children caught colds on the plane out so it was a blessing to have air conditioning as they had soaring temperatures. The house was hotter than other houses we have stayed in but I think that could just been the time of year….. we tended to sit in the garden where there was a lovely breeze. I thought the house was brilliant, Emily spent hours and hours in the sea, my family came to visit lots and everyone loved it. My grandmother found a mammy apple on the ground, no one knew what it was but she said she used to slice them up and eat them after school as there was an old lady who sold them. I think being there brought back so many memories of her days growing up on a farm in Blackrock and it was lovely for us to hear all stories. It was a great holiday – I think my head is still there – coming back home is quite a shock! I hope all goes smoothly with the pool and that you all have a really super Christmas. Please give my best regards to Mike and his family and thank him for letting us stay in their lovely house. Hello Mike and Susan – I hope you are both well. I just wanted to thank you for the most wonderful holiday. Thank you for allowing us to stay in Seaturtle – what a truly stunning location – and magical to actually see a turtle laying eggs outside! I just wanted to thank you for letting my family spend our very 1st family reunion in your beautiful villa. Crowsnest was amazing. The bedrooms were very comfortable, warm and inviting, but the 3rd floor living area was breathtaking!!!! The open floor plan with all of the different lounge areas, the huge dining table, the kitchen, the bar, the pool and the barbeque area…..BRILLIANT DESIGN!!!!!! Exactly as described on the web site and more. Though 18 of us stayed at Crowsnest, we never felt overcrowded. The other 9 family members who stayed at Sea Turtle, loved that house also, (and I must say that you did a great job with renovating it….very cozy) but Crowsnest was the hub!!!. This is where we spent most of our time just being together and enjoying each other. Yes, we did the zip line and the safari tour and took family pictures holding hands around the Balboa tree in Queens Park…..(huge tree as I am sure you know)……very symbolic moment for us doing that. Mostly, however, we hung out at Crowsnest, enjoying the beach, the pool and the 3rd floor unbelievable views. Your staff was great…..Joanna was very patient and helpful throughout the entire process, Eulita was amazing…keeping things in order, with so many of us there. Mechelle, the manager, had everything arranged for us when we got there and arranged for an incredible cook who performed his magic every night with his delicious meals. I just can’t say enough about your villa…… STUNNING!!!!! !……… AWESOME!!!!! !……… FANTASTIC!!!!!!! My entire family loved it, both young and old, especially my grand kids……we created some wonderful memories with the family there and will definitely come again…..most definitely. I am missing the sounds of the ocean already. Green Sea Turtles laying eggs in the sand overnight just in front of the house! Awesome views day and night. An amazing property. A very helpful and friendly staff. Combined with the owner’s second property just a short swim down the beach (or safe walk down the access road) combined to enable our party of 14 to have a great time together. Open air dining, roof top pool, professional quality kitchen and bar, gas grill, multiple lounging areas. The property is also well situated to allow easy access to the entire island and nearby facilities (shopping, services, etc.). We had a great time and would do it again. I may be spoiled for other vacation rentals. Certainly the bar has been raised! We had an amazing stay! The homes were beautiful as was the beach. It was nice that Sea Turtle was so close. I stayed at Crows Nest, and Shondell did a great job having everything ready for us. We had a wonderful time hanging out at the beach and at Crows Nest. Some of us did surfing lessons, a segway tour, and an island tour through Glory tours- all great experiences! We went to the fish fry in Oistens our last night and had a blast there. Staying at the homes made our trip comfortable and relaxing. Mechelle was also helpful. We hope to return some day. It was a terrific family vacation- we did not want to leave! Having Mike’s handbook was a great help as well. I just wanted to write to say thank you, we and our group had an unbelievable two weeks. The Sea Turtle was a great house and those that stayed there really loved it. Crowsnest was the meeting place where you could usually find everybody. I have to say none of us have ever encountered a house so beautiful and so perfectly designed for vacation. The pictures do not do it justice! Just wonderful. We had a fun filled week. Mechelle arranged a chef for Tuesday night dinner who was excellent. Susan, the massage therapist (she really is the BEST ever!) came to the house almost every day since people kept wanting treatments after the recommendations of the others. Cooking in that kitchen was great. Loved that there were spices etc. available. We made sure anything that was used up was replaced and we even left some extras that we bought for the next group. Just a wonderful trip. So thank you again for allowing us to stay in such paradise and thank you for all your assistance in planning; you were wonderful! We hope to go back sometime. We had a wonderful time here. The villa is a treat and, being only a mile from the cricket stadium, was the perfect place to tick off my “bucket list item” of watching Australia play a test in the Caribbean – and win! Thanks for everything. Thank you for a perfect break in beautiful surroundings. It has been so relaxing watching the ships at night and the hummingbirds by day. I slept better than I do in my own bed at home. We hope to return to this special place very soon. Thank you for letting us stay in your beautiful home. It was exactly what we were looking for – very comfortable, peaceful, and secluded – but right on the beach. The fact that the garden was enclosed, and there was both grass and sand, meant that we were able to relax on the deck without having to keep a constant eye on Alexander. We really enjoyed the privacy, the huge TV, and the constant traffic of wild life – monkeys, bats, hummingbirds, and at night fireflies hovering over the bushes. We will be back next year. Four of us rented Sea Turtle for a bit of pre-Christmas sunshine and it was fantastic. The bungalow has clearly been refurbished to a high standard along with the grace of air con in all the bedrooms. The outside covered seating was perfect for eating and relaxing. Food was easy with a big supermarket just up the road and, as the owners said they would be, our concerns about “no pool” were unfounded. Who indeed needs a pool when the beach (which hardly had any people on it) backs onto the garden and the water is so calm, and so warm. We will definitely be back! We loved sea turtle — the place and the location; we all had a wonderful time. Eulida was great at keeping the place nice and clean and great to chat with as well. Beds were comfy. We really enjoyed cooking our dinners and dining outside. Also spent very pleasant hours sitting under the canopy on the deck reading and chatting. Having the lounge chairs and umbrellas was great. It was good be able to plug our own music into the sound system via ipods. The beach and the water in front of Sea Turtle was fantastic.